Week 3 of Youth Soccer Month is all about the relationships and fun generated through playing soccer and their extension beyond the field. Growing up we can become the best of friends with those that we play soccer with. We grow together as we go through struggles and victories with our teammates. Beyond our teams soccer can bring the world together. With just a ball anyone can come together to enjoy the sport we all love. Friendships can be made as we share our experiences, trials and triumphs of the sport with others. This week make sure you think about all the friendships soccer has helped you foster and make sure you reach out to someone new and make a new friend! Make Your Own Ball Day starts off the week on September 17! The mission of Make Your Own Ball Day is to use a ball to help kids create, connect, give, appreciate, and play. MYOBD promotes and supports the passions of kids for sport and uses soccer as a platform for change. North Carolina commit Rachel Jones has built many relationships through soccer while playing for her club, US Youth Soccer ODP and U.S. Youth National Teams. Jones and Tophat 18 Gold (GA) won two US Youth Soccer National League division titles and claimed a US Youth Soccer Region III Championship in 2015. The forward is currently in the U.S. Under-18 Women’s National Team pool and has been part of several U.S. Youth National Teams and US Youth Soccer ODP squads in the past four years. She took some time to explain how soccer can help produce several lasting friendships. What makes youth soccer such a good place to meet new friends? Meeting friends through soccer is a completely different experience than meeting them at school. Soccer friends understand you on a different level than your school friends do because you spend so much time together and share a passion for the game. How has soccer helped you make and keep strong friendships? I've played soccer with every single person that I consider a close friend at some point in my life. Being on the field and fighting for a common goal brought me and my friends together in an amazing way. Having played on your local club team, on US Youth Soccer ODP teams and with several U.S. Youth National Teams, do you keep in touch with other players you've met from other parts of the country? Yes. I met Brianna Pinto from North Carolina through the U14 national team and later the U17 national team. We immediately bonded, and when she committed to the University of North Carolina, I knew that it would be the perfect place for me as well. Other players that I keep in touch with include Civana Kuhlmann, Ashley Sanchez, Karina Rodriguez, Jaelin Howell, and many others from the last U17 cycle as well as others from my current U18 national team. Their locations range from Colorado to California to Kansas City and all over the United States basically. How have road trips for games given you a chance to bond with teammates on and off the field? On road trips, my team spends a lot of time together. From eating meals to watching movies or TV together, we just genuinely enjoy each other's company, and being together after games also gives us time to reflect on our performance and to grow together as a team. 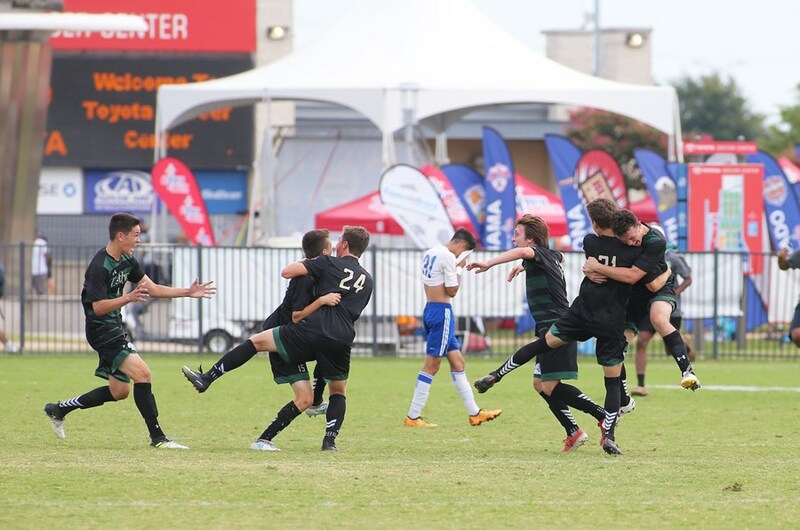 What are some of your favorite memories with your friends through soccer? My favorite club soccer memory is winning state cup in U13. We won in the last second, and afterwards, we all went to Raegan Kelley's house for a pool party and kept the celebration going. My favorite high school soccer memories involve the bus rides to and from games, specifically the ones we won, where everybody sang as loud as possible. My favorite national team memory is qualifying for the U17 World Cup. On the ride back home to the hotel, we all hung out of the windows of the bus chanting "USA! USA! USA!" and singing songs like "Party in the USA." What type of advice would you give to kids in regards to using soccer to make friends? The friendships that you make through soccer will last a lifetime, and you should never take them for granted. However, if you aren't developing at the club you are currently at, don't be afraid to leave because of your friends. If they are your real friends, they will support you in your journey.